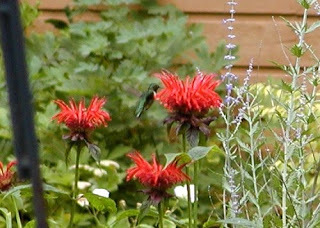 The butterflies and hummingbirds have been visiting our bee balm, coneflowers and other wildlife-friendly flowers at the Inn on Mill Creek each and every beautiful day here in the mountains of North Carolina. 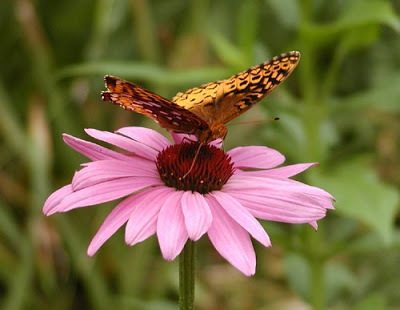 Not only are we a North Carolina Birding Trail site, but we’re also proud to be a Certified Wildlife Habitat through the National Wildlife Federation and the North Carolina Wildlife Federation. 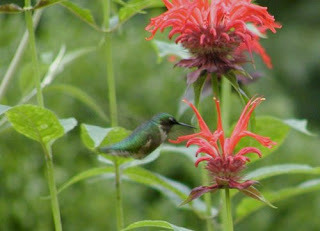 The ruby-throated hummingbirds are definitely our favorite birds to watch right now. They only seem mildly annoyed at us — the papparazzi — as we try to get close to take their pictures. Below are our attempts to catch them as they flutter about. 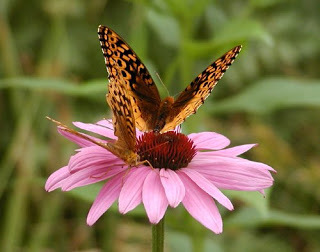 The butterflies on the other hand, couldn’t care less that we have the camera lens two inches from them. 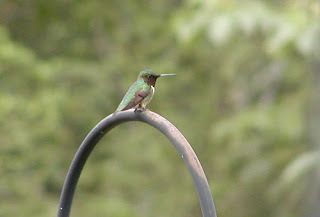 This entry was posted in Uncategorized and tagged birding, flora and fauna, Summer by Inn on Mill Creek. Bookmark the permalink.